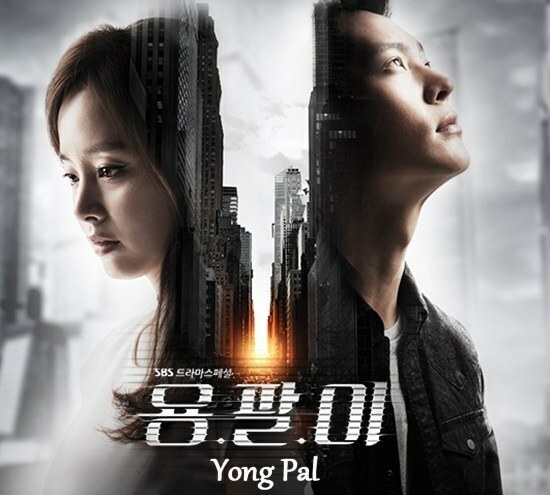 I am a big fan of many of the actors in this production, and this Korean drama received very good ratings in Korea, but I'm afraid Yong Pal (2015) just didn't wow me like I had hoped. It's rarely the actors' fault when I don't become enthused over a drama, it's usually the screenwriter's fault. Right off the bat I didn't like the original premise of the story, that a young doctor would work secretly and illegally to medically treat wounded gangsters for a huge amount of money in order to pay the medical bills of his critically ill younger sister. That concept is the end justifying the means, and it's not an above board way to get through life. He certainly didn't inform his sister he was saving gangsters in order to afford to pay her dialysis bills, in fact he lies to her and says he is taking out loans and doesn't mind that he's in debt. Later in the drama they tried to make the gangsters comical Damon Runyon types in an attempt to make the audience forget what they were really all about, but it didn't fly with me. There are always other options than contributing to, or flirting with, criminality to achieve your goals. These were mob bosses, gangsters, gamblers, drug dealers, and killers, and in the first scenes you see them all shot up and he's fixing their bullet wounds without notifying police. A good human being doesn't mix with evil to achieve his goals, even if they are lofty. Let the gangsters suffer the consequences of their illegal actions, let them reap what they sow. That doesn't happen in this drama. The cast was filled with many of my favorites: Joo Won (Good Doctor, Tomorrow's Cantabile, Bridal Mask), Kim Tae Hee (My Princess, Jang Ok Jung Living In Love), Jo Hyun Jae (49 Days), Chae Jung An (When A Man Loves, The Prime Minister And I) in a rather thankless, useless role here playing Hyun Jae's ignored wife, Jung Woong-in (the bad guy in I Hear Your Voice), and Kim Mi Kyung (Healer, and practically every other Korean drama in the world! ), but the writing let them all down, in my opinion. 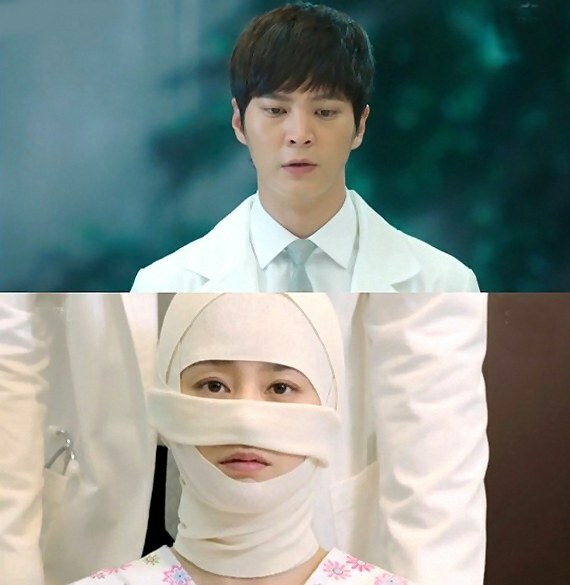 Joo Won's character just wasn't as admirable or interesting or compelling as in other dramas, and I had troubles even understanding how or when he was supposed to fall in love with a girl in a coma; Kim Tae Hee's character practically slept through the drama because she was supposed to be a "sleeping beauty" type, Jo Hyun Jae's character had no redeeming values whatsoever and all I could see him as was my beloved Kang in 49 Days gone bad. Kim Mi Kyung wasn't in nearly enough scenes and when she was in a scene she looked like she was walking through it to collect a paycheck. When will someone give her a passionate character to play? We all love her -- she deserves more lead roles like she had in Healer! and so that means Yong Pal to the rescue! The Story: Tae Hyun Kim (Joo Won) is a talented young surgeon but with big secrets. Desperate for money to pay the medical bills for his ill younger sister So Hyun Kim (Hye Soo Park), who suffers from kidney problems and needs frequent dialysis treatments to live, he adopts the code name "Yong Pal" (pronounced "Yong Pal-ee" by the characters) and he offers his medical skills to those in need of secret medical attention, such as gangsters and other criminals. He never turns them over to the police, however, even when fixing bullet wounds which requires that police be notified. If he did turn them in as he is obligated legally to do that would mean an end to his extra money supplies and possibly the end of his life if the criminal elements turned on him for exposing them. The police in the drama, in turn, seem like idiots: when trying to track down a scalpel Yong Pal used to operate on gangsters they take it to the hospital he happens to work at to ask a doctor in charge to check the serial number: the doctor sees who it belongs to, but chooses to protect his colleague, and says to the police it's gone missing and there's no evidence as to who it was registered to, and the police never take the book from his hands to check out the owner's name in the ledger! They just trust the doctor! These laughable cops make the hypnotized ones in Hyde Jekyll and I look like geniuses in comparison! LOL! Doctor Tae Hyun's mother (Na Woon Kim) had been critically injured in an industrial accident and the doctor at the hospital where Tae Hyun worked, at that time as an intern, who was supposed to have operated on her, abandoned her for another patient who had insurance! Right away we learn that this is one hugely corrupt hospital! I wouldn't go to this hospital if my life depended upon it! And they probably wouldn't even treat you if you didn't have insurance or lots of money! Tae Hyun's father (Yong-gu Do) had been a family abuser and drunk and is estranged from his grown children so he is no help in paying the big medical bills for his daughter's hospitalizations. (Another thing about this show which bothered me was how little time Tae Hyun spends with his suffering younger sister -- they have hardly any scenes together -- the focus for Tae Hyun quickly strays to a strange romance instead). Eventually the sister is simply removed from the drama and sent to Miguk (America) for specialized treatment. How convenient. No! I don't like when my beautiful Jo Hyun Jae plays bad guys! I want him always to be like nice and moral Kang from 49 Days! 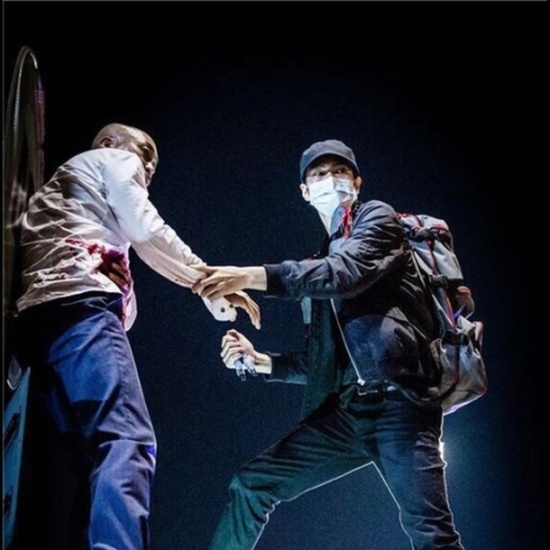 Tae Hyun turns his attentions to a curious situation taking place on the top floor of this wacky corrupt hospital; after rescuing a female patient being moved on a stretcher from killing herself, he worms his way into being re-assigned to that top floor where this mystery suicidal female patient resides, under constant bodyguard protection. Her name is Yeo Jin Han (Kim Tae Hee), and she is a "sleeping beauty" young woman and heiress to a fortune, apparently comatose for several years after a car accident in which her fiance was killed. Turns out her older brother Do Joon Han (Jo Hyun Jae who played Kang in 49 Days) covets her inheritance and her CEO position in their deceased father's very wealthy corporation. The father's will had stipulated that the daughter was to run the company over the son, whom he (correctly) suspected to be evil at his core. Do Joon has been secretly paying medical people at the hospital like Medical Chief Lee (Jung Woong-in) and creepy, crazy nurse Hwang (Hye Sun Bae) to keep his sister in a chemically induced coma for years. Eventually the nurse snaps because of her profound mental illness so she is discarded. 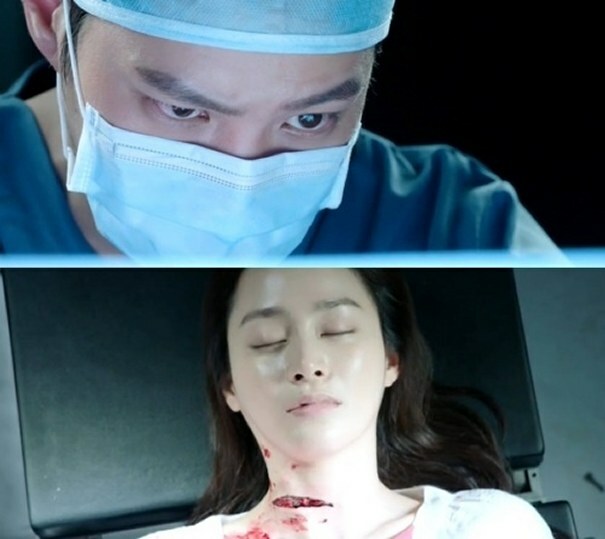 This leaves our Yong Pal more time to come up with different ways to save our "sleeping beauty", once he realizes her life is at stake from a chemically induced coma, and she wakes up long enough to tell him she will pay for all his sister's medical bills if he will save her from her "tower". (Why the evil brother didn't just kill her right after the car accident is a mystery -- he would have saved himself millions of dollars to secretly kill his sister with injections of toxins instead of letting her lay comatose for years at the top of a hospital. 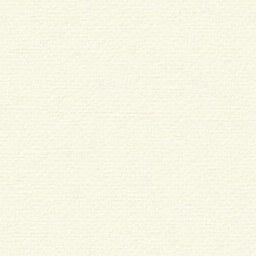 But then, I guess, there would have been no story. LOL!). why was it bandaged? LOL! An elaborate scheme is concocted to sneak the princess out of her prison tower at the top floor of the hospital, and a dead body of an unidentified victim substituted instead, which results in the evil narcissist brother thinking his sister is finally dead and out of the way. For a supposedly smart evil dude, he sure is fooled rather easily! For a short time a romance is allowed to bloom between Yong Pal and Sleeping Beauty, who isn't as sleepy anymore once the daily IV drugs are expelled from her body. They register together for a marriage and then another giant confrontation occurs at a big important business meeting, where the dead Princess shows up very much alive, which results in the corrupt brother getting arrested. But we certainly haven't seen the last of him! Not yet, anyhow. Will the evil ones get their just desserts, and will the lovers be happy at the end? than this medical malpractice turkey! If you like a medical drama with a lot of intrigue and twists and turns, and some cool car chases thrown in for good measure, then you might like Yong Pal more than I did, but to me there were too many inconsistencies here, like gangsters not getting arrested, scalpels not being identified, medical procedures done that would prove deadly in real life without proper hospitalization and care, even the silly way they had the comatose princess laying on her hospital bed -- nothing on her feet for years, no booties, no blankets, just a skimpy white nightgown flowing down her body! No wonder why she was as white as a ghost! Also, I never quite saw or understood the moment when this couple was supposed to fall in love, it was just assumed. I got a kick out of the fans' comments on Viki when Yong Pal confesses his love for the princess: "When did he fall in love with her?" someone wrote. "I must have missed something here. She's been asleep, how does a man fall in love with an unconscious woman?" asked another viewer. LOL! Often the comments on the top of the screen at Viki.com are more fun than the actual dramas! "The Hills Are Alive With The Sounds Of Smooching!" 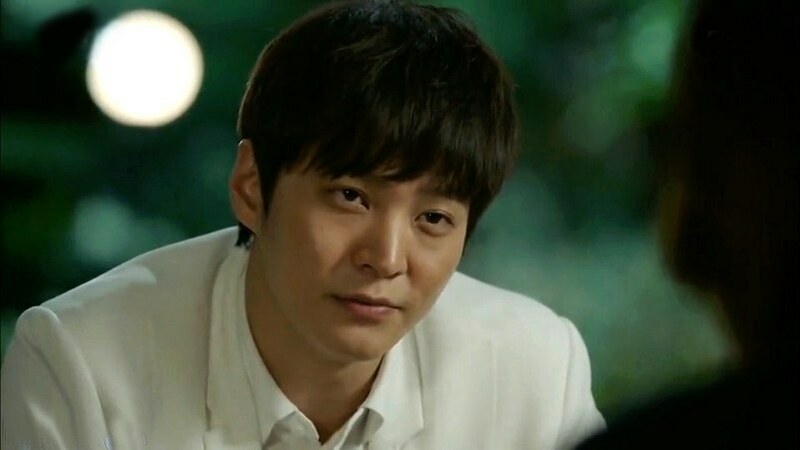 I would highly recommend that if you love Joo Won and want to see him in a QUALITY medical drama playing an ETHICAL physician then don't miss him in Good Doctor (2013). That drama earned an A grade from me, whereas Yong Pal earns a C+, and if other less skilled actors had played the roles it probably would have received a C or C- instead! Even great actors can't save a mediocre, silly script.